Removing the complexity to produce quality branded graphics for live video. AUTOMATED and EASY! Live Graphic Systems delivers an automated, simple to use graphics platform for live video that maximises a leagues engagement with it's fans while driving commercial opportunity at scale. Our model compliments all aspects of growing your league. Watch the case study videos below to see the impact of LIGR's platform BEFORE and AFTER implementation by the largest state associations in Australia, Football (Football NSW) and Basketball Australia's (SEABL). Note that in these particular case studies, LIGR’s automated graphics are powered by real time data from global sports technology companies Genius Sports (basketball) and Perform Group (football). LIGR’s platform connects the data to the video through data triggered graphics AUTOMATICALLY, creating a fully automated broadcast with seamless integration of brands and commercial partners. NO Graphics Operator, NO Producer! Using LIGR's platform is easy! Checkout what people are saying about us. Live Graphic Systems (LIGR), a broadcast graphics startup out of Sydney, Australia that uses real-time sports data to automate graphics for live video, has become a member of Sportradar’s startup accelerator program Acceleradar. 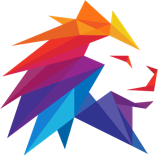 Having access to Sportradar’s vast and comprehensive sports data, and collection of live API’s, will allow LIGR to expand its technology and create exciting and innovative products in the sports market. “Working with Sportradar, a global leader in sports technology, while having access to their data will allow our team to dive deep into the possibilities of using detailed and real-time sports data to completely automate the graphics workflow of a sports broadcast, including live streams to social channels and OTT. Combined, our technology workflow helps sports leagues commercialise their broadcasts by seamlessly adding brands into our automated templates and creating professional broadcasts in a way that is not possible using traditional broadcast methods”, said Luke McCoy, Live Graphic Systems CEO. As a member of the Acceleradar program, Live Graphic Systems will be granted access to Sportradar data for 6 months. 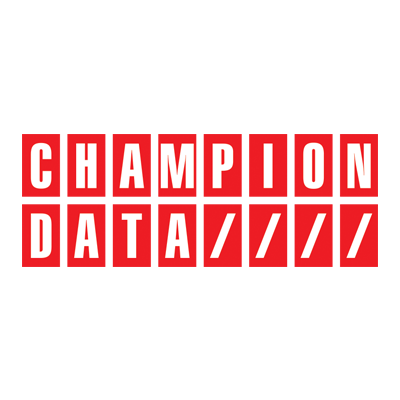 The data will help Live Graphic Systems to expand its partnerships into global sports leagues. Live Graphic Systems technology has recently been deployed across organisations such as the National Basketball League, Football NSW, Basketball NSW, the South Australian AFL and Cricket Australia. Sportradar is a global leader in understanding and leveraging the power of sports data and digital content for its clients around the world. We provide cutting-edge solutions and services to media companies, bookmakers, sports federations and state authorities. We are a truly international organization, employing over 2,000 people in more than 30 locations around the world. Our rapid growth is driven by technological innovation and a deep understanding of our clients’ business needs. LIGR’s technology platform creates automatic, simple-to-use graphics for live video. Removing the complexity to produce quality live graphics for video. We make graphics for live video EASY. A platform to help broadcasters professionalise, standardise and commercialise live stream broadcasts in a simple-to-use way, while fundamentally disrupting traditional, highly skilled, expensive and complex graphics solutions. Making professional graphics simple and viable for broadcasters to the web! Live Graphic Systems and InteractSport enter into exciting partnership for grassroots sports. Live Graphic Systems and InteractSport have entered into a partnership to provide sports clubs, leagues, associations and federations live streaming and video capture solutions including use of LIGR’s automated broadcast graphics technology powered from Interact Sport’s digital suite of sports products. InteractSport is the preeminent team management and data solution for grassroots sports in Australia and the UK, with a strong client list including Cricket Australia, Netball Australia, Football Federation Australia, Rugby Australia, the English & Wales Cricket Board and Cricket Ireland. The combination of both LIGR and InteractSport’s technology provides an enviable technology stack for sports leagues to manage and commercialise their digital assets, including live broadcasts. This deal follows on from a successful beginning to a pilot integration of the Cricket LiveScore app into LIGR’s platform for cricket matches, which sees Live Graphic Systems deliver automated cloud graphics for games streamed to social media platforms such as Youtube and Facebook. Both organisations are excited to form a strong, united partnership and look forward to delivering world-class technology to the world of grassroots sports! 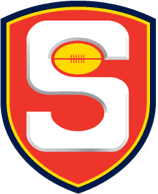 InteractSport are a tech company based in Melbourne and supply digital services to sporting bodies throughout the world. They have built world-renowned live score and member apps that are underpinned by their flagship Competition and Registration products, as part of their stated mission to "make awesome stuff for the sporting community”. Live Graphic Systems signs landmark long term deal with the premier womens Indonesian basketball league, the Srikandi Cup. Srikandi Cup, the women's premier basketball league in Indonesia has announced a landmark 3-year partnership with the automated broadcast technology, Live Graphic Systems, to provide professional and commercialised graphics overlay on Saturday (10/11/18) in Jakarta. Srikandi Cup is pleased with the opportunity to become the inaugural partner for LIGR Systems operation in Indonesia. The deal also puts Srikandi Cup as the first user of LIGR's cutting-edge technology in Indonesia. The Srikandi Cup itself has 7 teams from various regions in Indonesia and by implementing a series system in replacement of a home-away season, a professional and stable broadcast will play a pivotal role for the league to increase engagement with the fans of all teams. The main focus of the deal itself is to provide automated graphics overlay, powered by the live game statistical data in real time to the viewer. This also allows new commercial opportunities for the Srikandi Cup, with real-time in-game advertising now a possibility. The three season deal ensures a large improvement in the leagues streaming quality increasing the viewing experience for the fans. Live Graphic Systems is a young growing Australian-based company that has worked with several state and national basketball leagues in Australia. LIGR Systems recently had the opportunity to partner with the Australian National Basketball League (NBL) providing graphics for the NBL Pre-season Blitz 2018. Through this deal, Srikandi Cup looks forward to improving the fan experience while broadcasting the competition to social platforms such as YouTube and promoting the league through Instagram. This will build up a new fan base to strengthen the development of women's basketball in Indonesia. Fans can follow the league's broadcast through the Srikandi Cup TV YouTube channel starting from November 26 in Denpasar, Bali. Check out the Oceania Sportstech Overview by Benjamin Perkert, Founder at SportsTech X and mentor at the leAD Sports Accelerator. Live Graphic Systems adds Input Media to it’s growing high profile client list on a long term deal to provide its cricket graphics. This landmark deal follows on from a successful 2017 campaign which saw Live Graphic Systems deliver cloud graphics for Input Media across their cricket coverage last season. This year has already seen the successful implementation of a new and improved graphics theme which has seen high praise internally and by fans enjoying the start of the 2018/19 season. Live Graphic Systems CEO, Luke McCoy praised Input Media’s commitment to pushing the boundaries of bleeding edge broadcast technologies to provide the best fan engagement and distribution solutions for their clients in an ever-changing and competitive media landscape. “Chris Law and his team have proven to be extremely open to new cutting edge technologies that help reduce costs of production, while maintaining quality to help sports league scale content in a way that is simply not possible using traditional production solutions”, Luke McCoy, CEO, Live Graphic Systems. Both organisations are innovators in the digital content space and are taking advantage of the fact that mainstream sports production no longer has to rely on expensive and legacy hardware and heavily specialised staff on site and that much of that infrastructure and skill can be virtualised and automated in a cloud environment. “Live Graphic Systems have a fantastic product which provides us a cost-effective solution with a high-end result. 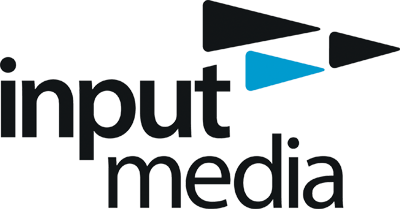 We are proud to be working with Luke and his team to push the boundaries of sports broadcasting utilising cloud based solutions”, Chris Law, MD, Input Media Australia. Live Graphic Systems is excited to be part of the Input Media journey long into the future. Live Graphic Systems has partnered up with the NBL (http://nbl.com.au/) in a landmark deal to deliver LIGR's automated graphics technology for the 2018 NBL Blitz pre-season, out of Bendigo and Ballarat. LIGR will deliver professional and automated graphics overlay, synced with the production team on site, and distributed out to NBL.TV, WSC Sports and for the first time, Twitter AU. 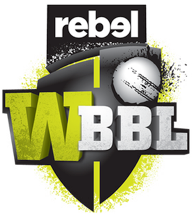 To catch all the action live jump on Twitter or NBL.TV! Live Graphic Systems CEO, Luke McCoy, to speak at the Australian leg of the Sports Analytics World Series Conference in Melbourne, Victoria on August 10th. Luke will be speaking about automated technologies and their impact on emerging live stream markets. Tickets for the event can be purchased at the below link . Live Graphic Systems is selected into the top 25 for the lead Sports Tech Accelerator out of Berlin, Germany, with over 400 applicants world wide, with selection days being held in Berlin in July. At the same time LIGR was also selected into the top 12 of the Stadia Ventures Fall Cohort out of St Louis, the United States, and therefore invited to Dallas, Texas to pitch in front of 150 stakeholders, investors and industry leaders early August. Live Graphic Systems gets nominated as a finalist for the first ANZSTA awards. Live Graphic Systems and Football NSW finalise deal to introduce LIGR's automated graphics and advertising platform into the Football NSW's live streams. 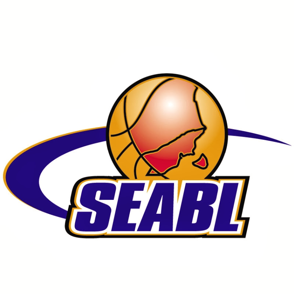 Live Graphic Systems and Basketball NSW enter into a landmark streaming agreement for the remainder of the Spalding Waratah League Championship Division. Live Graphic Systems CEO, Luke McCoy, caught up with Clint Vojdinoski, Editor at Bullpen Media to discuss the world of sports production and the concept of democratising live sports content through automated production platforms. Live Graphic Systems CEO, Luke McCoy, to speak at the Sports Analytics World Series in Amsterdam, on the topic of "Automated Technologies and their impact on the emerging live stream market". LIGR is also a bronze sponsor of the Amsterdam and Australian legs of the World Series, with Luke to also speak on the same topic in Melbourne, on August the 10th. looking to engage fans while monetising live content?